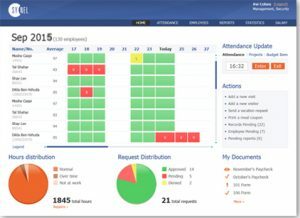 Following the amendments to the law in recent years, Israeli Wage Protection Law – working and rest hours , Time and Attendance software has become a major discourse in many organizations in Israel. Today there is work hour management records for presence or absence of any employee in the organization to save time and present the employee’s attendance data and salary slip. Managing employee time card law became particularly sensitive issue that does not allow calculation mistakes. If the data did not save or present in a clear report by the employer, it can cause a large fine or even risk a criminal conviction. HARMONY T&A from Synel Mall PayWay Ltd – the advanced and accurate employee workforce management, appropriate employee time and attendance data collection, in related to the agreement between the employer and the employee. HARMONY attendance system enables online working hour’s calculation and exportation to the payroll the calculation of the total working time. By using HARMONY from Synel’s, workforce managers of the organization can manage up to 5 levels, according to customer requirements, modify different reporting and screen view permission. Synel’s Mall PayWay LTD time and attendance software- HARMONY, enables flexible import and export of files in PDF, Excel (also via email) for the purpose of interfacing with other HR and Payroll systems. On a daily basis HARMONY from Synel allows manual edit, correct and view of employees data payroll interface. Read more about HARMONY biometric time clock from Synel.